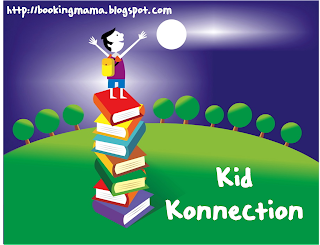 Welcome to Kid Konnection -- a (hopefully) regular weekend feature about anything related to children's books. Today, I am going to feature a few books that I've read for the Shelf Discovery Challenge. 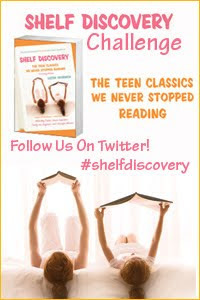 Keep reading to the end because I have a little giveaway for those of you participating in the Shelf Discovery Challenge! I find it hard to believe that I never read SUMMER OF MY GERMAN SOLDIER by Bette Greene when I was growing up. Thank goodness for Lizzie Skurnick's SHELF DISCOVERY: THE TEEN CLASSICS WE NEVER STOPPED READING because I might never had picked up this wonderful book. This book is truly a classic and I think all young girls should read it! I actually read this book a few months ago, and I've been procrastinating with writing this review because I don't think I can do this book justice. There is so much that I want to say about it, and yet I'm finding it difficult to put into words. This story is tragic and definitely broke my heart, but it also made so many compelling statements on human nature. Trust me when I say, that SUMMER OF MY GERMAN SOLDIER would make a most wonderful mother-daughter book club selection! I was deeply affected by this story on so many levels. The most obvious being that SUMMER OF MY GERMAN SOLDIER's setting is a small Arkansas town which housed German prisoners during WWII. Naturally, the book show the townspeople's infatuation with the soldiers as well as their resentment of the Nazis. I couldn't help but be reminded of that terrible time in our world. However, one of the things that I most loved about this story was that it calls the reader to look at the individual rather than make judgments based on the entire group. Patty Bergen (herself a Jew) falls for a young German soldier. She takes the time to listen to his feelings on Hitler as well as the war, and she sees him as a person rather than just a "bad guy." Another part of this book which really touched me was the relationship between Patty and her parents. My heart absolutely went out to Patty because I think she was a victim of both mental and physical abuse from her parents. When I read how they belittled her, I was angry enough; however, when her father took to beating her, I was outraged, and at the same time, disgusted. It was no wonder that Patty was looking for someone she could trust and who would appreciate her. She was so lonely that she was willing to risk everything to protect the "enemy," even if that meant she would be severely punished. Since I wasn't familiar with SUMMER OF MY GERMAN SOLDIER, I had no idea what was coming. The ending of the book packed a very powerful punch for me, and I'd love to discuss it; however, I don't want to give away any spoilers. Suffice it to say that the story gets even more tragic as far as I'm concerned; and yet, I did see a glimmer of hope for Patty on the very last page. There are just so many incredibly deep themes which occur throughout this novel that warrant further discussion. Some of the topics that I'd love to explore with young girls include abuse, self-worth, loneliness, courage, deception, secrets, war, friendship, and especially prejudice. Not only is there the issue of the treatment of Jews in Germany, but there is also the issue of how Patty's family was treated in Arkansas. In addition, I was very interested in the character of Ruth, the Bergen's black housekeeper. While Patty found a true friend in Ruth, it's obvious that her parents didn't feel that she was anywhere near an equal in their household. I was so caught up in SUMMER OF MY GERMAN SOLDIER, and I can't recommend it enough! It's a beautiful story about a young girl that is guaranteed to break your heart; however, it's well worth having your heart broken to read such a terrific piece of fiction. Note: I found my copy of SUMMER OF MY GERMAN SOLDIER at a local thrift store. The cover pictured above is the same as the one I actually read. THE WESTING GAME by Ellen Raskin was one of my absolute favorite books as a child. I read it numerous times, and I remember my copy being very worn out. It has been a very long time since I've read the book (probably close to 30 years), and I really didn't remember many of the specifics of the story. Of course, I remembered that someone died and left a will and that there were a lot of characters trying to solve a mystery. But that was about it. When I saw that THE WESTING GAME was included in Lizzie Skurnick's SHELF DISCOVERY: THE TEEN CLASSICS WE NEVER STOPPED READING, I knew that I was going to re-read this one for the challenge! I think I have bought used copies of this book at least three times for Booking Daughter -- she still hasn't read it yet! Since I did love this book like few others as a kid, I admit that I was a little worried about reading it again. Would this book live up to my expectations, does it stand the test of time, etc? Let me just say that I still loved THE WESTING GAME! The characters were so unique, the writing was terrific, and the storyline/mystery had tons of twists and turns and surprises. This book was everything I remembered...and more. I know I'm not alone in my praises since THE WESTING GAME won the Newbery Award back in 1979. That should tell you something about the quality of the book because I can't remember too many children's mystery books winning that particular award. What I didn't pick up about THE WESTING GAME so much as a kid was how well it was written and terrific the mystery aspect was. There were lots of characters and even more clues, so many I actually had problems keeping everything straight (but in a good, mind-challenging way.) I so enjoyed seeing all of the ways the author had the various characters interpret the clues -- some were hilarious. As an adult reader, I know that I appreciated how creative this book was; yet I also realized some of the bigger themes about human nature that appeared in this book. All of the characters were so caught up in trying to solve the mystery that they weren't able to see the what was right in front of their face. How true is that of people in general -- that we miss the obvious because we are so intent on something else? Another thing I absolutely loved about this book were the unique cast of characters. There are a ton to keep track of, and I think some kids will be confused; however, a few of the characters really do rise to the top. I really enjoyed seeing how different each of the characters were and how the author managed to develop a few of them really well. I loved the dynamic between so many of the characters and how playing the actual "Westing Game" caused some of the them to really mature and discover things about themselves. I highly recommend THE WESTING GAME for kids of all ages. I think even the most reluctant middle grade readers are going to love this book because the characters and the mystery are just superb! Note: My copy of THE WESTING GAME was the same as the one I pictured above. GIVEAWAY ALERT: I just happened to stumble across a copy of THE WESTING GAME at a local store that has book buyouts. Since I loved this book so much, I wanted to share it! If you are participating in The Shelf Discovery Challenge and are interested in receiving a copy, please leave a comment with a valid email address. I will randomly select a winner on Saturday, March 13th! Good luck! Just discovered you via Carrie at Reading my library, and I'm so glad I did - there's lots here I want to go away and read! Over on my blog all my posts are about children's literature, but I've selected my favourite post this week to add to Mr Linky - about an audiobook of two Katie Morag books. Looking forward to becoming a regular reader here! I always enjoy this feature -- As I finish up the Shelf Discovery challenge, I'll be contributing. I'm excited to see that The Summer of My German Soldier is so good because I bought it for the SD challenge. I think my cover's different though. I think I'll find the book fascinating since I toured an old German POW camp and found its stories fascinating. I've long wanted to read Summer of My German Soldier. Glad to hear it's a good book. And please throw my name in the hat for The Westing Game. I read that book in 6th grade but I don't remember any of it. I'm sure it's one that The Girl would enjoy at some point. Ooh, I read The Westing Game 2 weeks ago! I had almost the same experience - surprise at how well I remembered it and how fun the characters and the mystery were. I read Summer of my German soldier when I was in high school. I haven't read the next book, but I have wanted to for several years now. This book left a big impact. The ending was so sad. I loved The Westing Game. I didn't re-read it for the Shelf Discovery Challenge since I'm only doing books I didn't read the first time around but I did pass this one on to a friend to borrow so she could re-read it herself. I've always wanted to read Summer of My German soldier, because German prisoners of war were housed in Port Allen, Louisiana during World War II, which is near the town I grew up in. My mom has written a family story about seeing the soldiers transported on the road and how people in the town felt about it. I didn't know it was heart wrenching, but I still want to read it. I selected a post from Mother Daughter Book Club to add to Mr. Linky this week about inviting an expert into a mother-daughter book club meeting.